History – Hugghins Sod Farms, Inc. This pursuit of excellence has led to the growth and expansion of Hugghins Sod Farms, Inc. We pride ourselves on our solid customer service ethics and the quality of the sod that we produce. 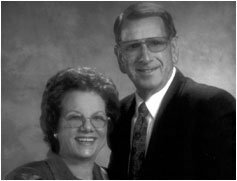 Mr. and Mrs. Hugghins have built a business to be proud of and a company that continues in its efforts to be the best that it can be. You, our customer, are important to us. Give us a call or come by to see us and become a member of our family. We all know that any successful business begins with hard work and good business ethics; however, here at Hugghins Sod Farms, Inc., we also have come to realize that it is the Grace of God and satisfied customers that have made and will continue to make our business a success.